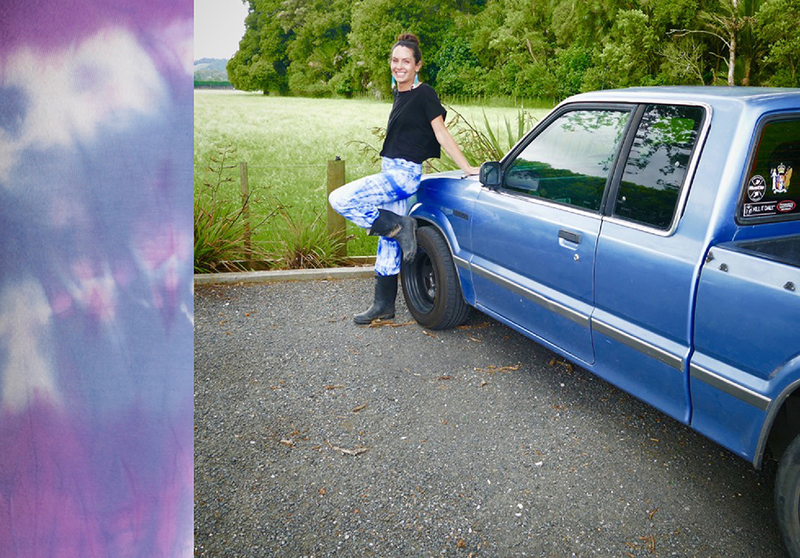 Celeste leggings have been 88’s ”must have” for at least a decade. They were created as an urban fashion style during the 88 Queen st. crazy years and became something chicks bought for YOGA !!! 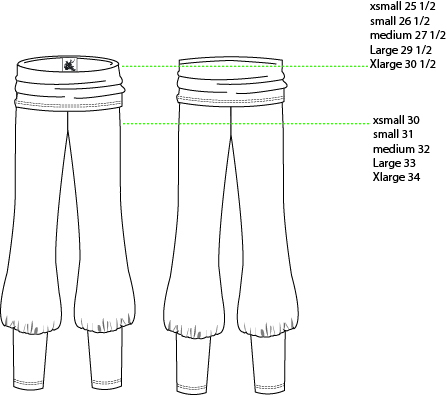 Gathered bottoms elongate the leg beautifully and fold over waistband thightens the belly nicely. 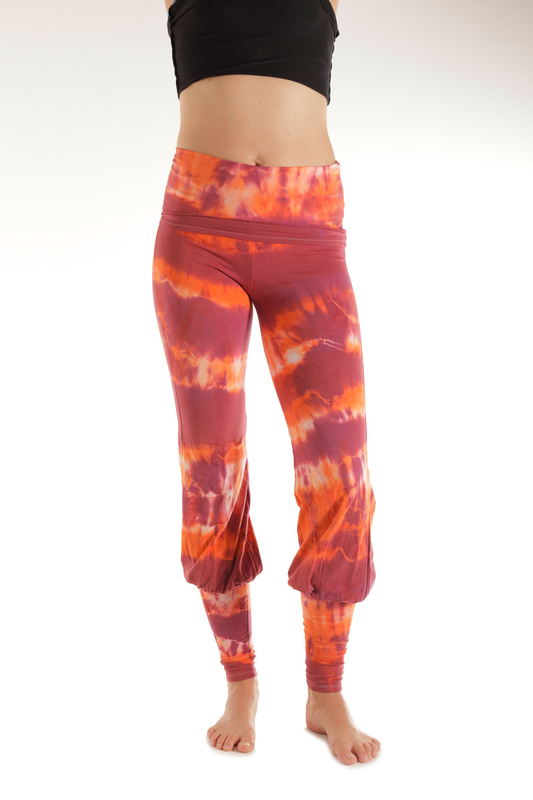 They are quite loved and are offered in different tie dye mixes, solid black or with wings. 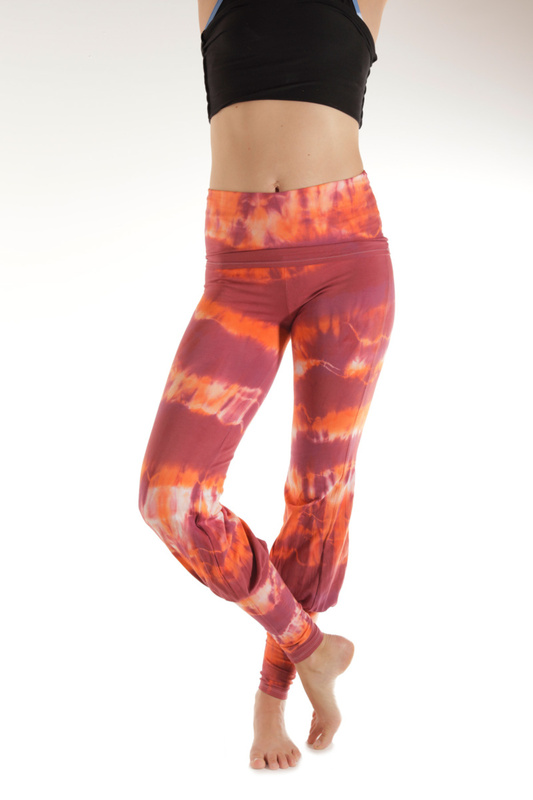 Fabric is 12 oz, soft, 90 % cotton and 10 % lycra, it is super stretchy and holds nicely. 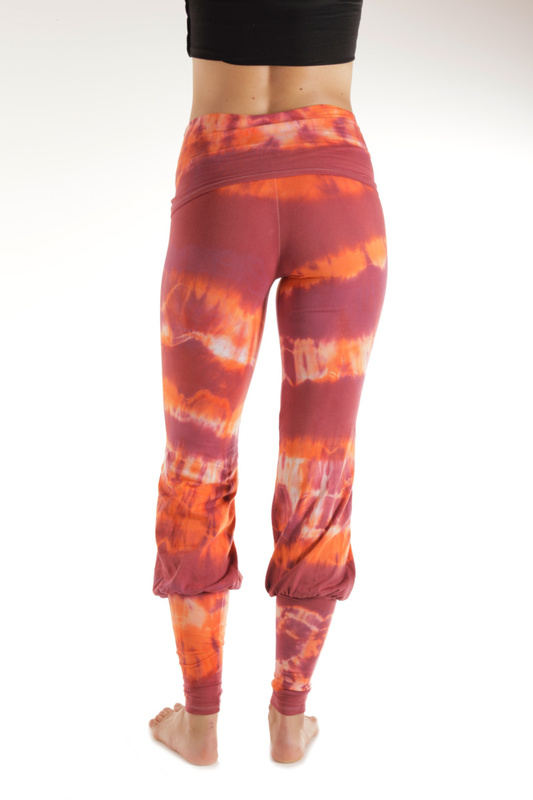 Leggings are all hand dyed and tie dye never comes out the same…Washing instructions are Cold Wash Hang to Dry.